The R&D team at Nordic Lights works closely with our customers to create the best solutions to the daily lighting challenges they face while working in extremely demanding conditions. 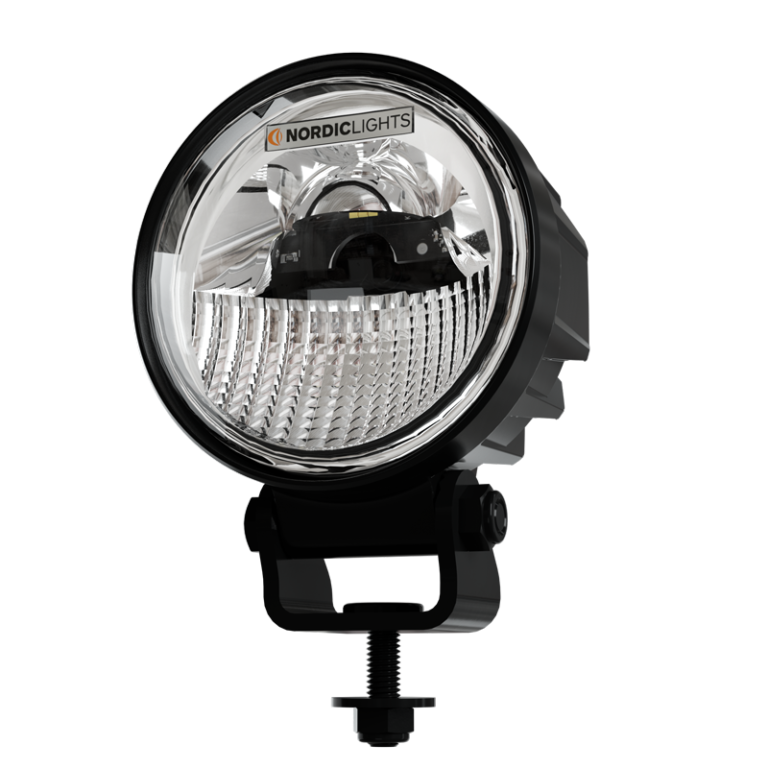 One of our clients asked us to find a better solution for the bright HID/Xenon and LED work lights because they were causing dangerous situations by blinding people working around vehicles in warehouses and on construction sites. That request led to the design of the first innovative optical solution (patent pending) presented under the Phenom Optics label. One of our core principles is to always create energy-efficient solutions for every work light and high-quality products that solve the challenges end-users encounter. The R&D team set out on a mission to create an intelligent glare-free work light, and they came up with a truly functional and groundbreaking result. 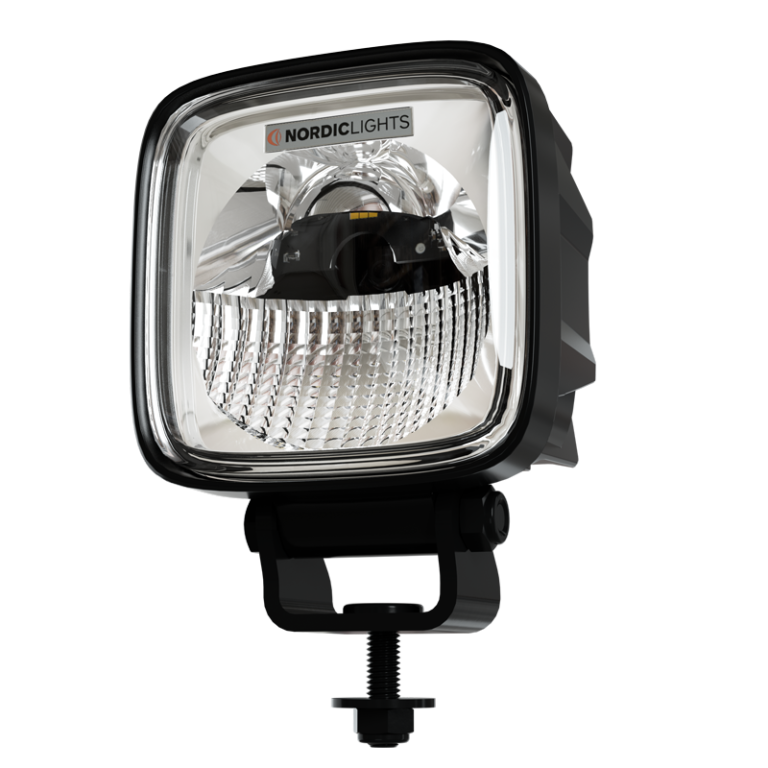 Instead of having to cover the light source, or to tilt the work light to avoid blinding people working near the vehicles, we created an ingenious optical solution that solves the problem and can be used in many heavy-duty work lights in the future. Canis PRO 415 PH and Scorpius PRO 415 PH are the first two products that utilize this new innovation. Thanks to the clear cut-off line, the products that use Nordic Lights’ Phenom Optics solution have an asymmetrical wide flood light pattern that doesn’t reach eye-level but still illuminates the work area efficiently. This optical innovation is ideal for vehicles in material handling and construction. One of Nordic Lights’ trademarks has been to combine our expertise in lighting technology and optics with extensive testing and strict standards for our products’ components. This is true for Phenom Optics as well, resulting in work lights that deliver a three-in-one optical solution. 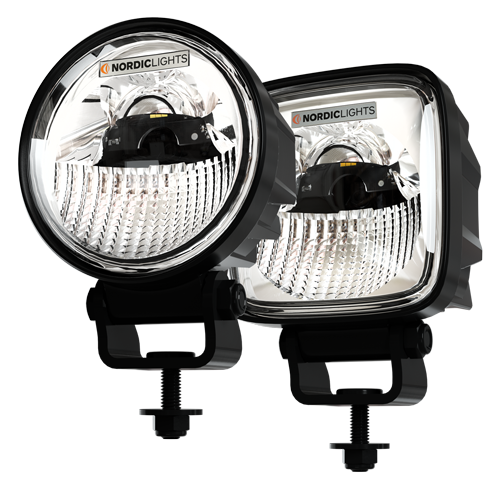 With these work lights mounted on your heavy-duty vehicle you will have accent lighting with soft illumination directed upwards as a guide light for successful lifting and other operations. You will also have efficient task lighting to illuminate the work area both directly in front of and further from the vehicle. For instance, mounted on a forklift truck, the Phenom Optics solution also directs light onto the forks, which is not the case with standard work lights. The third and most brilliant part of the optical solution is the glare-free zone created by the clear horizontal cut-off line, ensuring that people and other vehicles working nearby will not be blinded. – Finding the solution for the challenge our customer faced is one of the most interesting experiences I’ve had in my professional life. We always aim for quality solutions and launch only technically mature products. So, we are excited to release the new products with the Phenom Optics solution on the global market, says Chief Technical Engineer for Optics at Nordic Lights Janne Lindholm.